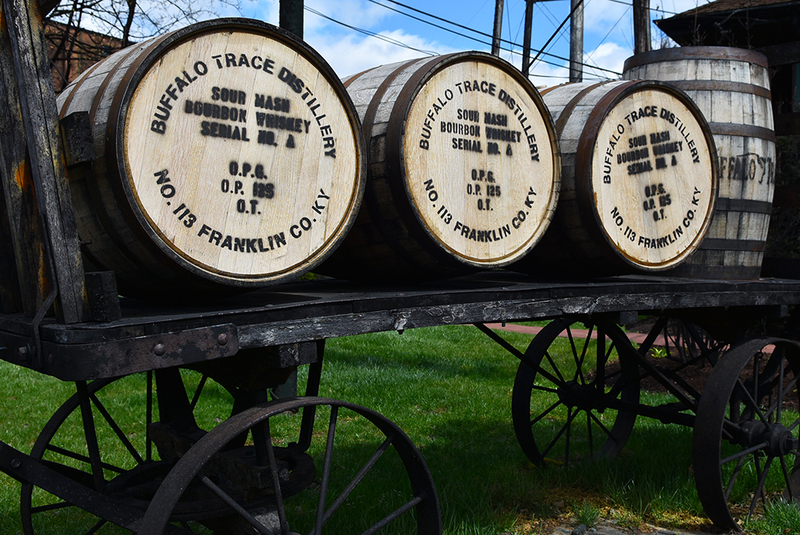 We met up with friends in Frankfort on a lovely spring afternoon to tour Buffalo Trace Distillery. 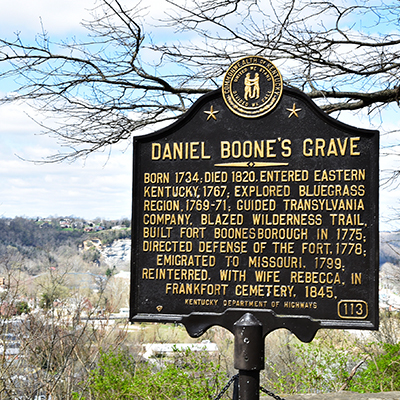 But first we stopped by to visit Daniel Boone. It’s seems kind of weird to start an outing at a cemetery, but that’s what we did. 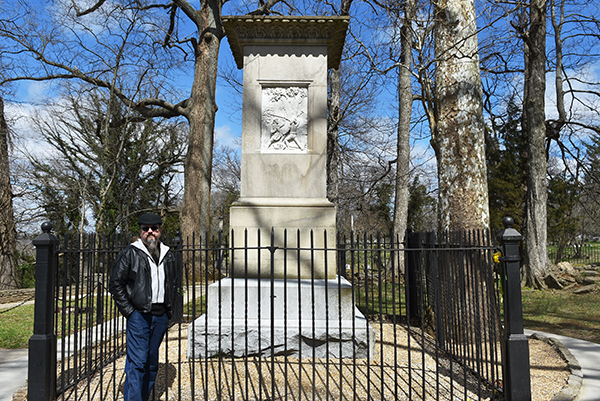 In fact, the Frankfort Cemetery was highly recommended by the manager of another historic graveyard. I’ve met the most interesting people in cemeteries – I’m dead serious! 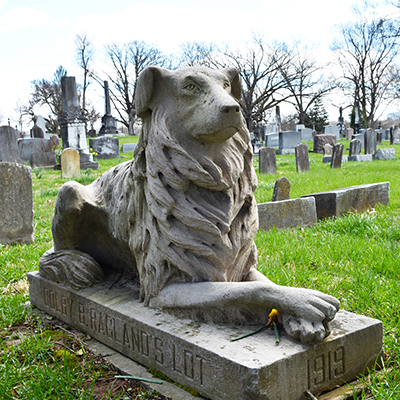 Frankfort Cemetery is, oddly enough, worth a visit. 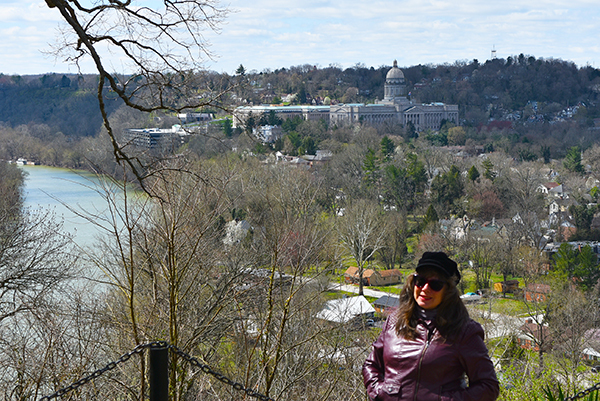 Legendary frontiersman Daniel Boone and his wife are resting on a high bluff of the palisades where there’s a wonderful view overlooking the Kentucky River, the state capitol, and the historic part of Frankfort. 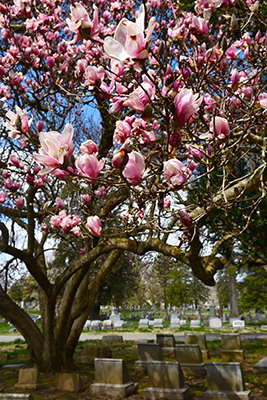 This is an old cemetery with markers going back to the early 1800’s, great statuary, and spring blooming trees. Two memorials in Frankfort Cemetery really captured my attention. The central one atop the crest of the main drive honors Kentuckians who served in every war, battle or conflict from 1812 up to the Gulf Wars. 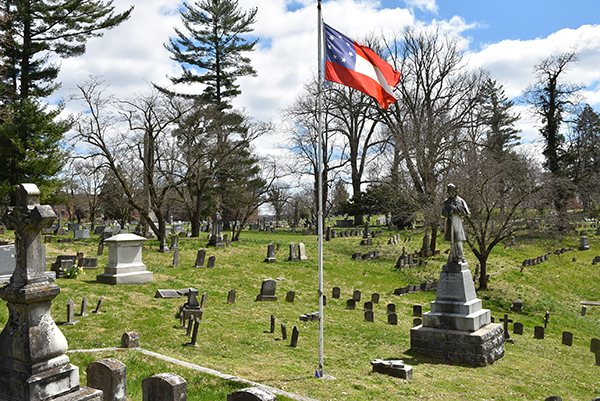 Historic flags that would have been flown at each war, including the confederate Stars and Bars, are displayed above granite markers describing the conflicts. I learned of the infamous River Raisin Battle, where Kentucky troops tried to win back Detroit from the British with little success. “Remember the Raisin!” was a popular motto well before the Alamo. The Stars and Bars, which we recently learned at Perryville, was the official flag of the Confederacy. 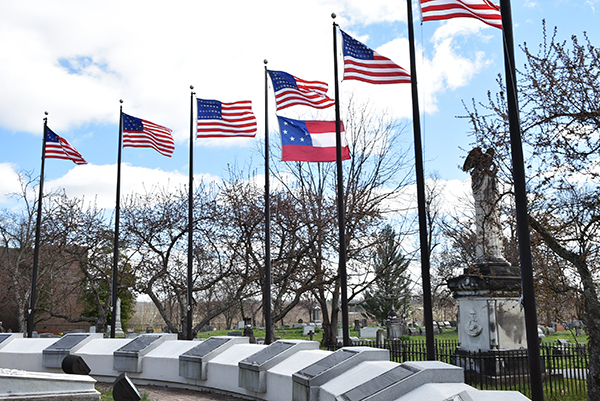 It’s flown at a section of Frankfort Cemetery dedicated to soldiers of the CSA. I know it’s controversial these days, but I have no problem with confederate monuments – those boys died fighting for their country the same as any other soldier. We can argue whether The Cause was worth fighting for, or Vietnam, or the River Raisin, or any of a hundred other places where Americans have fought and died. Debate the politics of any war all you want, but honor the soldier who did what his country asked of him. After all that cemetery stuff it was time for a drink. Or at least a bourbon tasting. 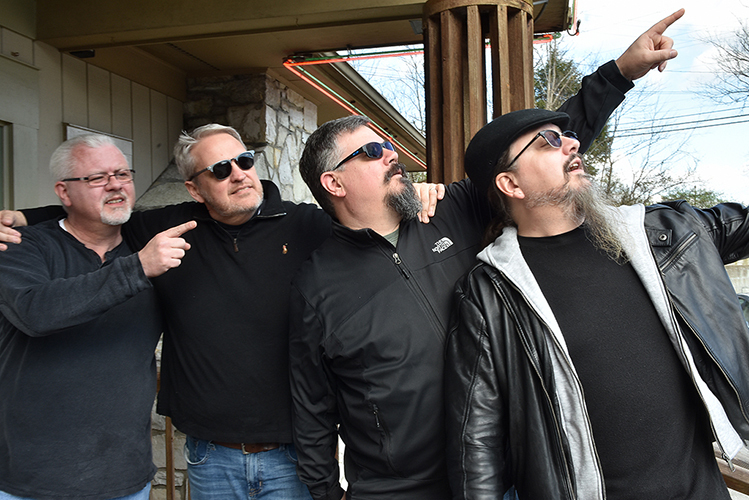 We trotted over to Buffalo Trace Distillery, just a few blocks from downtown Frankfort, to meet up with friends and take a distillery tour. 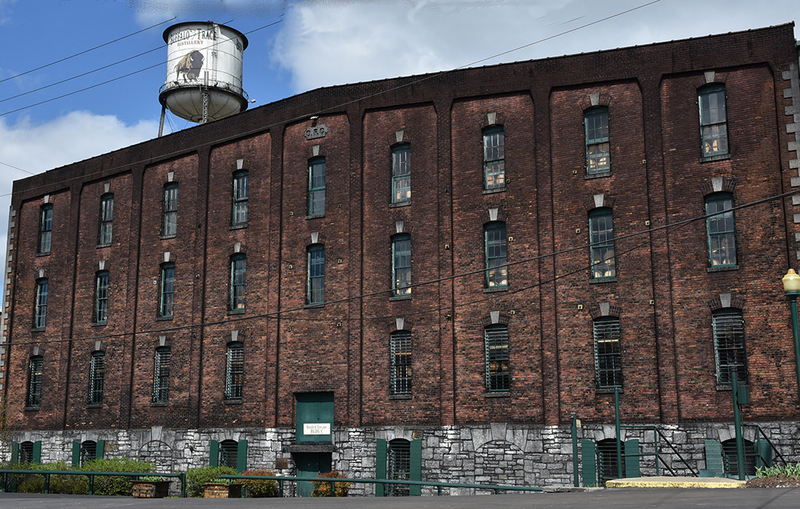 Buffalo Trace has been producing bourbon whiskey continuously for 200 years which earned it a National Historic Place designation. Even during Prohibition, Buffalo Trace was allowed to make whiskey for “medicinal purposes.” You needed a prescription to buy a bottle – but every man, woman, and child in the household was permitted a doctor’s note for alcohol. During Prohibition six million whiskey prescriptions were written every year in Kentucky – about twice the population of the state at the time! 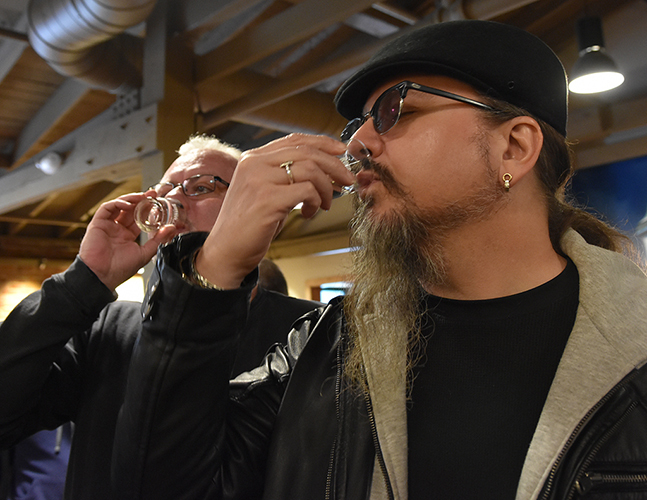 The highlight of any distillery tour are the free samples handed out in the Tasting Room. A small amount of bourbon is poured into a shot glass and the samples are lined up on the bar. You start with the cheapest or strongest, and work your way up to the super premium bourbons. Turns out I like the expensive ones – aged 10 years or more. Eagle Rare was my favorite offering from Buffalo Trace. After a whole bunch of bourbon samples, we tumbled over to Jim’s Seafood Restaurant for a late lunch and more cocktails. The guys all agreed we need to make this a monthly meetup. 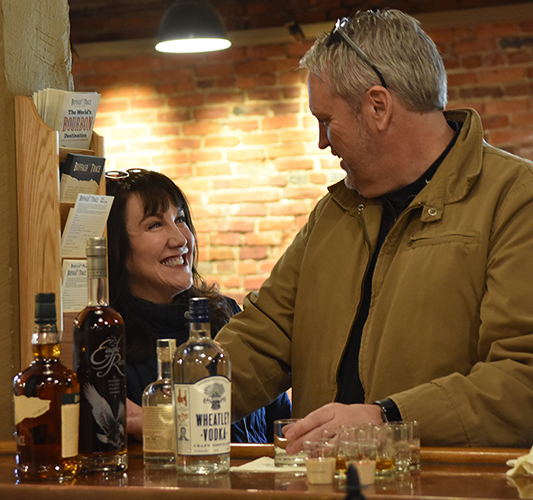 There’s about 25 more distilleries we can visit within a short drive of the Louisville-Lexington-Bardstown triangle, or The Bourbon Trail as it’s called. So just like Daniel Boone, this summer we’ll be blazing a trail through Kentucky. 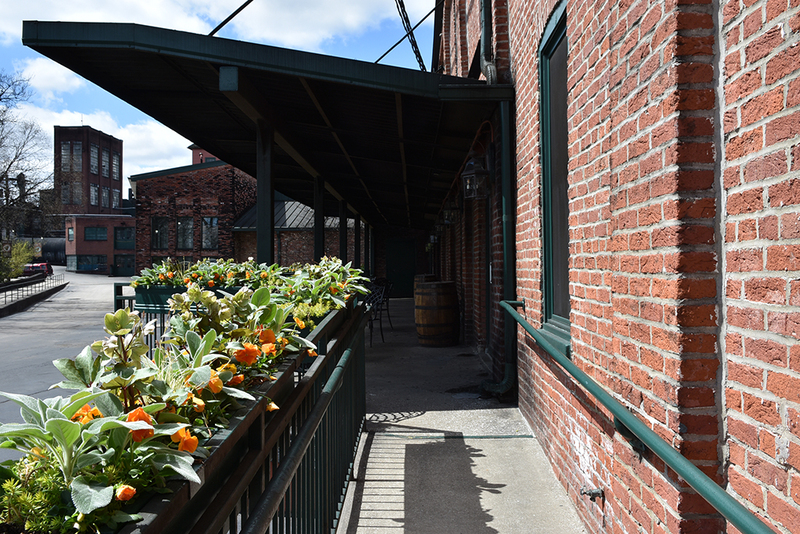 A Bourbon Trail, that is.